Why Waste in conjunction with the Kwazulu Natal Department of Economic Development and Tourism recently hosted a Waste Management and Environmental Conservation Workshop at the Ladysmith Department of Public Works Auditorium. Stakeholders from Business and Government were in attendance. 1. Pollution and Contamination of Water and Air Resources. 3. Waste Disposal and Contributing Factors. 4. Recycling and Job Creation within South Africa. 5. Waste Recovery and Prevention. 7. Education and the Environment. 8. 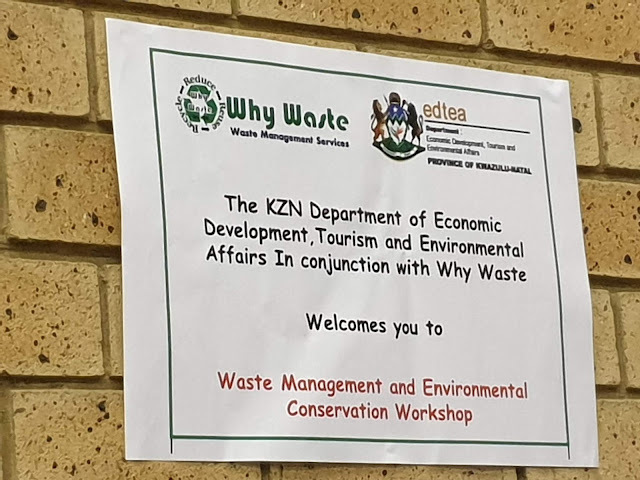 The South African Waste Act. DET - Department of Environmental Affairs and Tourism. 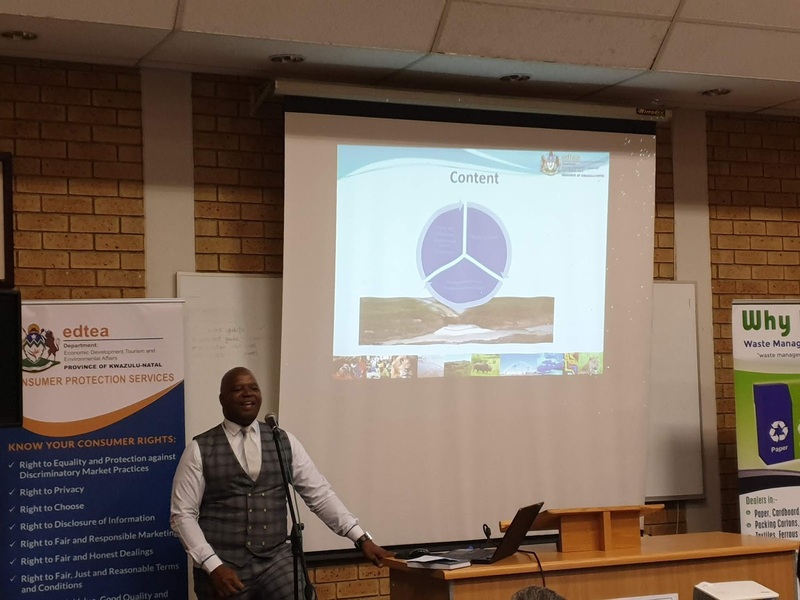 DAFF - Department of Agriculture Fisheries and Forestry. NDEA - National Department of Environmental Affairs. Definition of Waste - (of a material, substance, or by-product) eliminated or discarded as no longer useful or required after the completion of a process. "ensure that waste materials are disposed of responsibly"